SHIPPING: Free standard USPS shipping on all decals! 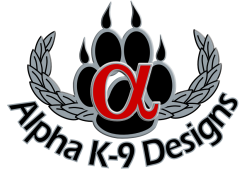 Flat rate $5.00 on license plates and kennel tags. Flat rate $3.00 on paracord bracelets and beanies. Flat rate $6.00 on caps. US only. Additional shipping charges apply for bulk and international orders. RETURNS: Full refunds on non-custom items returned in original, unused condition. Refunds for customized items only if custom info printed is incorrect or item is defective.